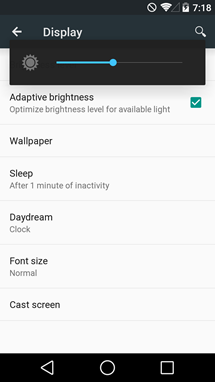 If you're looking for the auto-brightness switch on the Android L preview build, you won't find it. That's because it's been replaced with the adaptive brightness toggle, shown below. If you're familiar with iOS, you'll know this is how Apple has been doing things in regard to brightness for a while now, and many users prefer it. 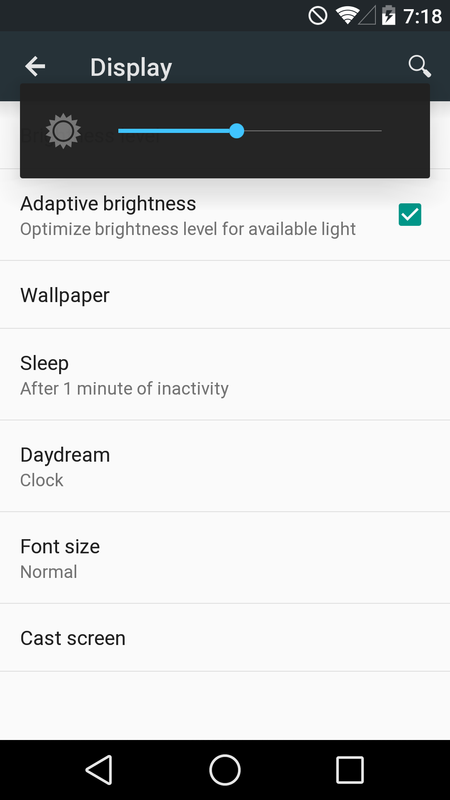 Samsung and LG, too, have shipped phones with adaptive auto-brightness in the past, though both seem to have shied away from it on US models of their phones in recent years. 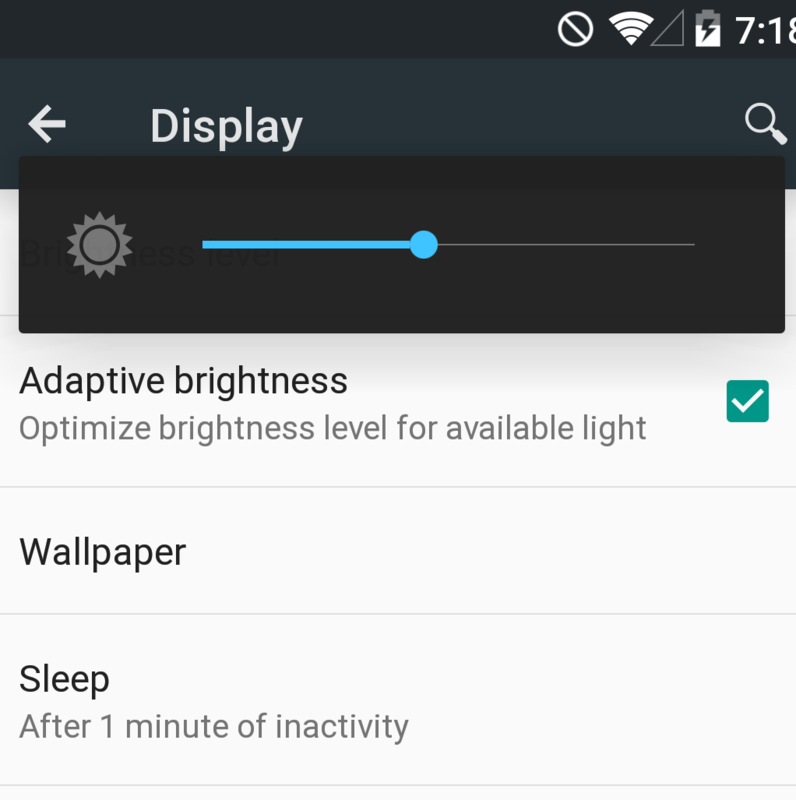 In short, adaptive brightness is like quasi-autobrightness. 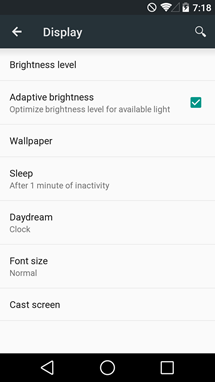 You're essentially setting a "range" of available brightness levels when this feature is turned on, so that if you have display brightness set to 50%, the phone may only actually adjust itself between 40 and 70% brightness in a given situation. 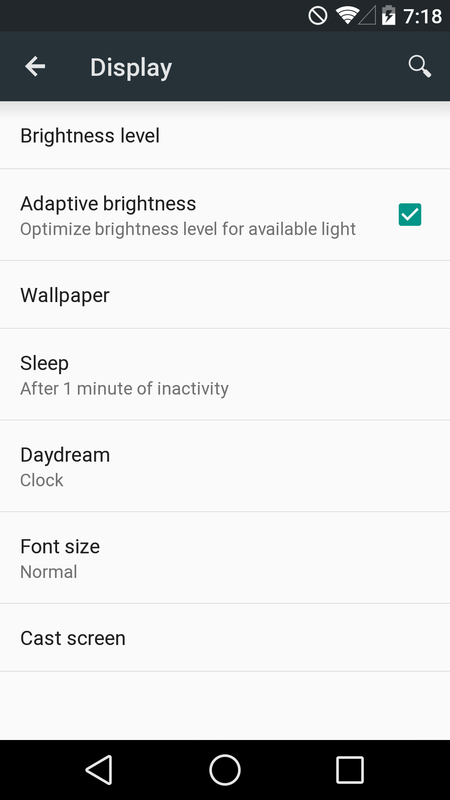 This is as opposed to completely automatic brightness, which typically gives you the full spectrum of brightness adjustments depending on the ambient light. The problem with fully automatic brightness is that's it's often slow and a poor judge of what level of brightness your eyes really need. So, this adaptive mode allows you to set a baseline brightness that the phone will then adjust from based on your surroundings. Some people prefer full auto-brightness, some people prefer this adaptive style. Google has decided it's in the latter camp now, apparently.